A floating desktop design and white drawer interiors that add that extra hint of style make this lateral file cabinet from Regency. A unique option for extra storage in your office. Coordinates well with the Regency OneDesk furniture collection. The Medina Series combines modern style with function. Two drawers accommodate letter and legal sized hanging file folders. A great way to add storage to any office or room. 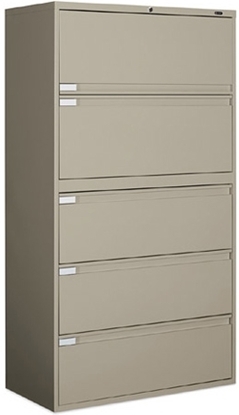 This lateral file is available in 4 colors and includes one file drawer and one storage drawer. Its unique design can add style to any room. 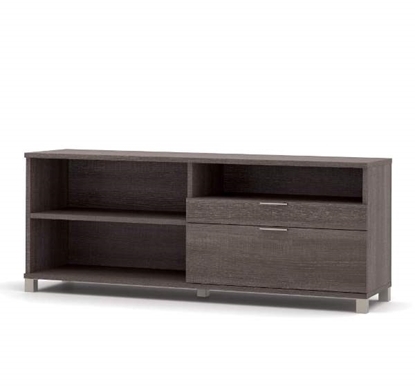 Sophisticated styling is the hallmark of the Ventnor series from Offices to Go. 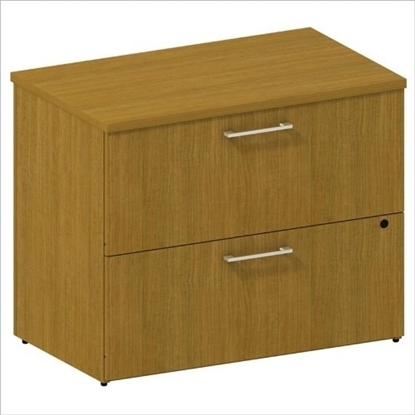 Constructed with real wood veneer, this 36" wide two drawer lateral file accommodates letter and legal hanging folders. The ball bearing drawer slides provide smooth operating drawers. The fluted top edge detail is unique. Global lateral file cabinet with four (4) fixed front drawers feature leveling glides to keep the file case true, ensuring easy open drawers. The 9342P-4F1H is a perfect file cabinet for a home office space, doctor's office, or legal practice. This model's durable welded corners will last for many years of service. Order today and get free shipping! 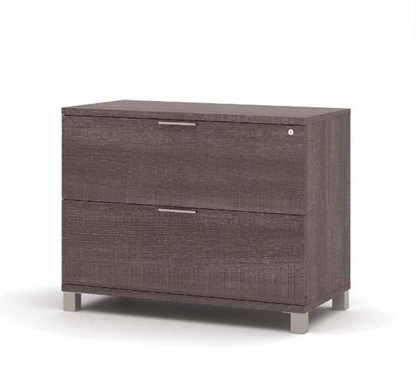 This Global 5 drawer lateral file cabinet offers full-width recessed pulls and full extension 3-stage ball bearing drawer suspension for effortless operation. 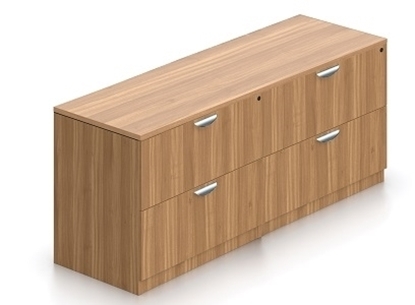 The bottom four drawers have fixed fronts, while the top opening features a receding door and pull-out shelf for additional filing or for storage. Order today and get free shipping! 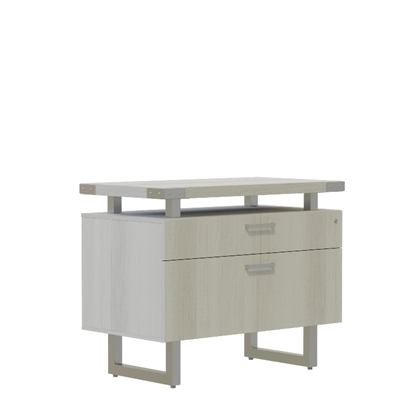 The OneDesk Series, from Regency, has a very unique look with its floating top design and white drawer fronts. 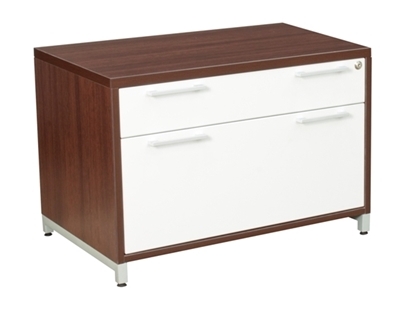 This two drawer lateral file cabinet coordinates well with other products in the Regency OneDesk furniture collection. Mayline's Mira Series is a wood veneer product line that offers simple curves that create an elegant setting for any work environment. 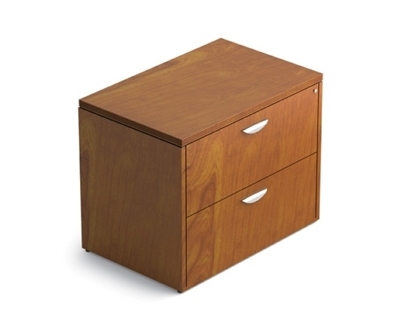 This two drawer lateral file cabinet features a 1 1/2" thick hardwood edged top. Perfect for a home or private office. 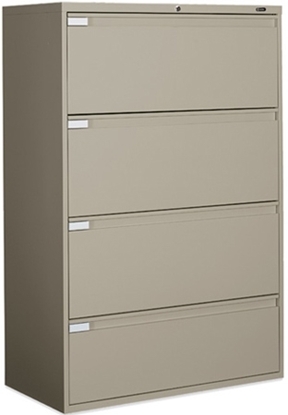 This 5 Drawer Lateral File Cabinet is a good commercial grade. It features four fixed front drawers topped by a top opening with a receding drawer and pull-out shelf. This opening provides for additional filing or storage. The Sorrento veneer series is a transitional line of wood office furniture for executive offices, individual workspaces, conference rooms and reception areas. 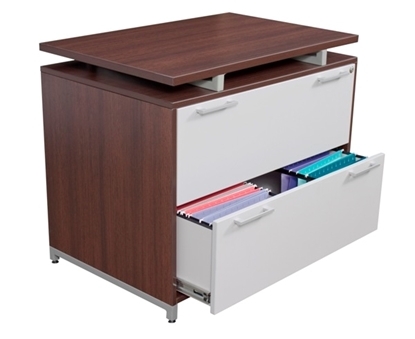 This 2 drawer lateral file will provide the filing space you require.